To celebrate Doncaster Junior Lawyers Division’s official recognition a party has been arranged at the Regent Hotel 7.30pm onwards . 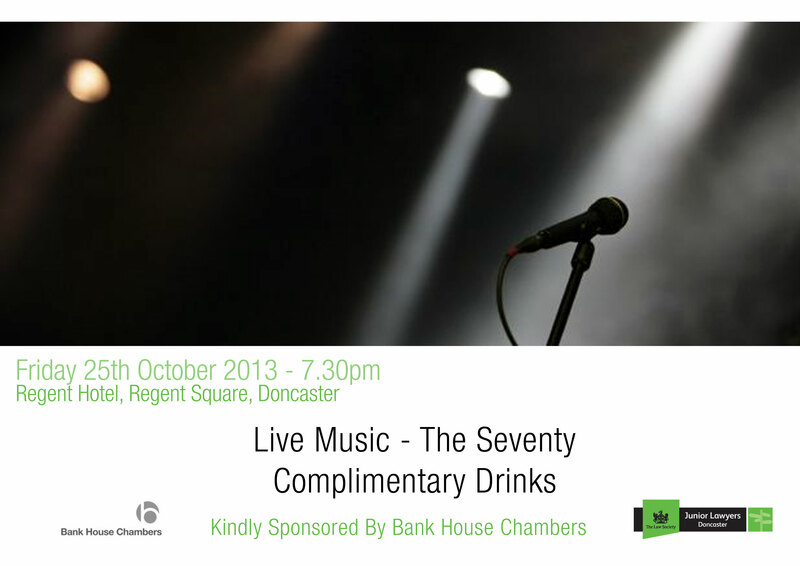 The event which is sponsored by Bank House Chambers will include live music from Barrister James Horne and his band the “Seventy” . All are welcome irrespective of age and everyone gets a free drink . Please contact the Junior Lawyers division to give numbers .